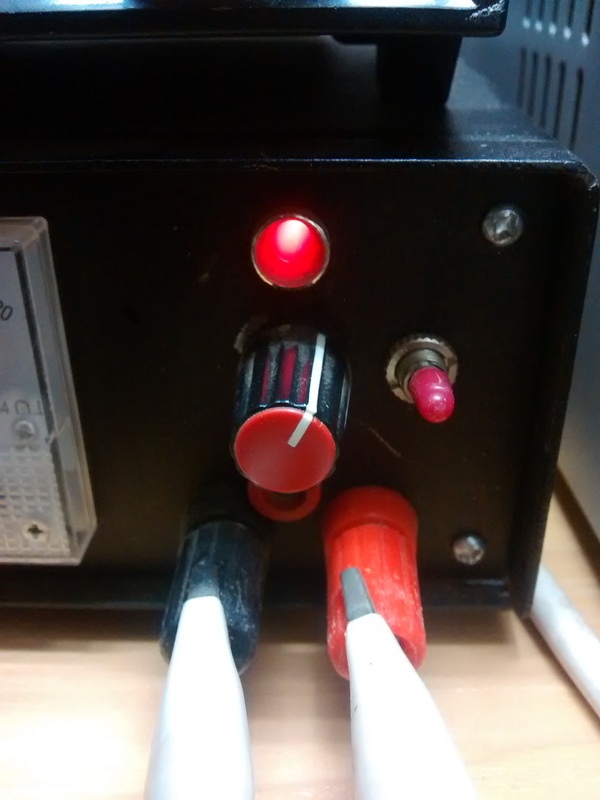 So we usually want to have a battery indicator circuit in many of our devices. The indicator warns us if we have left the device powered and also indicates if the device battery is reaching its end of life. 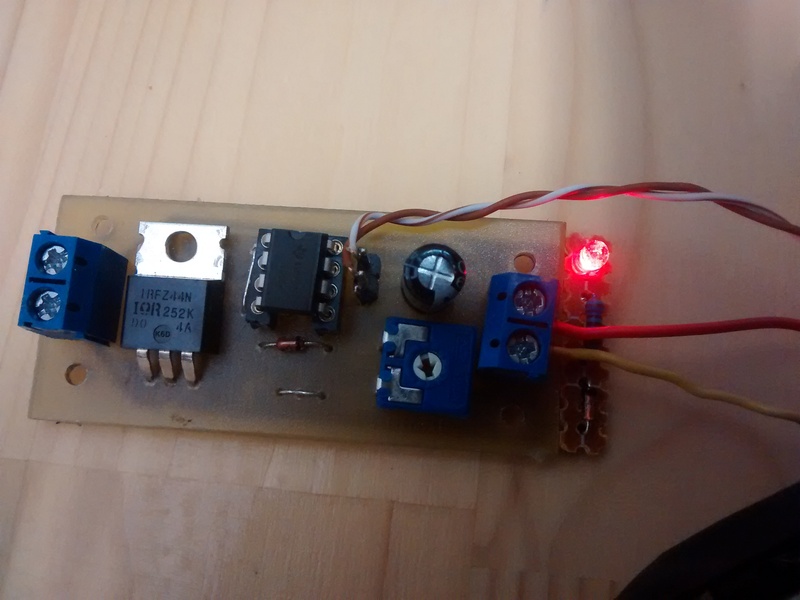 The simplest form of battery indicator is a LED with a current limiting resistor. LED light output is roughly proportional to the current flowing through it. With input voltage lower than LED voltage drop, the LED will not light. The voltage drop on a LED varies slightly with current and temperature, but stays about the same most of the time. 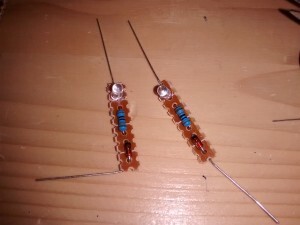 The voltage drop is different with different LED colors and types, but may also vary a bit between LEDs of same type. When the voltage is higher the LED will start lighting depending on the resistor value chosen. You should choose the resistor value considering nominal input voltage and nominal current (when the battery is full). I usually use a high brightness LED designed to be driven with 20mA at a low current of 1-2mA as an indicator. This will give you a value of Rval of a few kOhm. You can also use this calculator to calculate the appropriate resistor value. Let’s assume that our device is powered by a 9V battery. A brand new 9V alkaline battery may have up to 10V unconnected output voltage and a fully discharged one will have around 6V. The circuit is shown on the picture along with simulation of relationship between the input voltage and current (which translates to led brightness). We can see that the led will start lightning at around 2V and will get progressively brighter with higher input voltage. If we add in a zener diode to the circuit we can make the initial voltage when the LED starts turning on higher. The zener diode behaves similary to a LED in a sense that the voltage over it will always stay roughly the same. This is an example for a 9V indicator, which starts lightning at around 8V and reaches full desired brightness at 9V input voltage. We should have some overhead so the led does not get damaged if we connect a slightly higher voltage, eg 10V (brand new battery). These small strap-on power indicators made on scrap pieces of protoboard were made to be used with some of our model rocket parachute deployment timers. 🙂 Only after testing the deployment timers we figured that battery level indication and power indication would be a great feature. With indicator one can clearly see when the power is applied to the circuit and at the same time you can know when the battery charge is depleted.